View the Aug/Sept 2018 issue of Franchise World online now. YourZone45, the fitness studio, has secured investment from three stakeholders to develop the company’s offering and network growth. Launched in 1999 and franchising for 15 years, Dream Doors has become the largest kitchen facelift franchise with 80 showrooms. 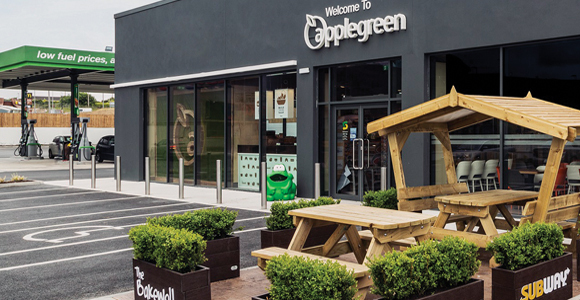 The company is looking to recruit franchisees for some prime locations in the North East, North West and around Yorkshire. 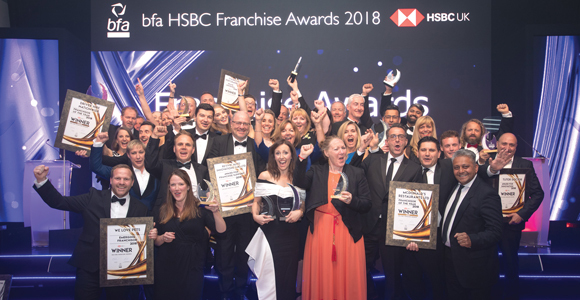 The award winning franchisors and franchisees celebrate their achievements, with the top two titles going to McDonald’s Restaurants (Franchisor of the Year) and Hayley Limpkin of Razzamataz (Franchisee of the Year People’s Choice). The BFA has recognised its affiliate category of professional advisers and suppliers in its new awards and announces the winners in the four award categories. Ian Bradley, franchise director of My Window Cleaner, discusses the implications of becoming a pilot franchisee. The Best Franchise Conference and Awards 2018, organised by the research firm smith+henderson, is to welcome the BFA chairman, Trevor Brocklebank as a keynote speaker to open this year’s conference. The Dwyer Group, one of the world’s largest franchising companies with a portfolio of 20 service brands has been acquired by Harvest Partners. Julie Taylor of Franchise Resales discusses the main points to consider when running a family owned franchised business. David Bond and Gordon Drakes of Fieldfisher, talk about the key issues in joint ventures, why a franchisor would adopt this franchising model and how it should be correctly structured. The coffee shop’s first UK franchisee has opened its 50th Starbucks, which the company says is the first drive-through in the city of Hull. Mark Abell of Bird & Bird, discusses the challenges that franchisors face when expanding internationally and offers franchisors advice on how to avoid unnecessary mistakes. Nicola Broadhurst of Stevens & Bolton, sets out her blueprint for selecting franchisees who will be capable of playing their part in building up a successful franchised network.